Our pride in craftsmanship and focus on customer service set us apart from the competition and is proven through over half a century dedicated to building exclusive, one-of-a-kind fire apparatus. Our Brush Trucks and Skid Units are built to last with heavy-duty aluminum bodies, an array of cab and body choices, customizable compartments for easy access, powerful engines, high quality brand pumps and tanks, and so many possibilities and options to customize your truck that not two of our trucks are alike. Whether you need a 2-door, extended cab, or 4-door cab with bucket or bench seating, we have it all. Choose from a diesel or gas engine; pick-up truck with bed or cab and chassis with AFE manufactured flatbed; 2-wheel drive or 4×4 for off-road driving capabilities. Customize your truck with steel wheels with stainless steel simulators or aluminum wheels, stainless steel running boards or Nerf bars for quick and easy access, and premium door lettering with reflective striping. Heavy duty replacement bumpers, grill guards, and front or rear hitches for removable winch are all options to fully customize your truck. Pick your Poly-Tank in sizes ranging from 250 – 400 gallons; built-in foam cells or poly compartments are also available. Alexis uses Waterous Pumps with your choice of either gas or diesel engines. Choose from an array of discharge options as well as electric rewind booster reel options and preconnected hose lines for quick attack response. Stainless steel suction and discharge manifolds with stainless steel valves provide peace of mind. Cab controlled bumper turrets and spray booms are also available to round out your arsenal. Add on your bells and whistles with a wide selection of lighting choices and accessories to fully customize your Alexis Brush Truck. Siren and speaker options are available as well as LED NFPA warning light packages from Whelen, PowerArc or Weldon. Control your warning systems from a dash mounted Jotto Desk or a floor-mounted console (dependent on seating configuration). Choose from many different lighting options including 12 Volt lift lights mounted on the headache rack and LED compartment lights. Contact your factory-direct Alexis sales representative to learn more about the added options and loose equipment brands we carry for your custom-built unit. With flatbed sizes of 9′ or 11′, there is plenty of space available to design your unit, including platform options at the front or rear. Accessing your equipment quickly and efficiently is at the utmost importance when you’re on the job. We utilize areas for ample storage space to store all of your loose equipment with compartments located both above deck and below. Other options such as adjustable shelves, sliding trays, compartment dividers and aluminum equipment storage racks can be designed for your Brush Truck. Our team is at your service. Two-dimensional blueprint of preliminary truck body assures exact dimensions and maps general design. Three-dimensional drawings simulate a virtual model shop and offer a greater definition of compartment utilization. 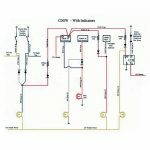 Customer-specific exact wiring diagrams come standard with your Alexis truck and provide ease of electrical diagnostics. Weight calculations insure intended loads match correct chassis gross vehicle weight rating during pre-planning stage. OMAX JETMACHINING CENTER / Alexis utilizes one of the fastest and most precise abrasive waterjet cutting methods in the industry with our Omax 50,000 PSI JetMachining Center. Waterjet machining is a computerized technology used to cut virtually any material into any complex two-dimensional shape which does not result in tool path heating, distortion, or residual stress in the cut material. Computerized motion control provides accurate and reproducible results efficiently throughout a wide range of materials and thicknesses while generating a smooth edge and finish. GALVANIZED BODY SUBFRAME / A fully-welded steel subframe supports our 3/16″ thick heavy duty aluminum body. Once the subframe is manufactured, it is hot-dip galvanized to provide the strongest body support system available to withstand the rigors of everyday use. Our underbody outrigger system provides total compartment support from the bottom up to withstand the load carrying requirements of today’s apparatus. A rubber body cushion is standard to provide flexibility and ensure dissimilar metals will be separated to protect against damage caused by electrolysis. Service and maintenance is streamlined with heat resistant, color, function, and number coded wiring as well as printed circuit boards and automatic reset circuit breakers. The connections are made through a Duetsch connector, allowing for the best possible protection against the elements. Standard and multiplex systems are available to meet each customer’s 12 volt electrical requirements. Our apparatus bodies are painted on the Alexis premises using PPG high-gloss finish coatings. Two coats of paint and three coats of primer for ultimate durability and quality. The compartments can be finished in either a natural Aluminum or Zolatone coating. Our trucks are prepped, the paint color of your choice is mixed, and the paint is applied to produce the finished, painted product.